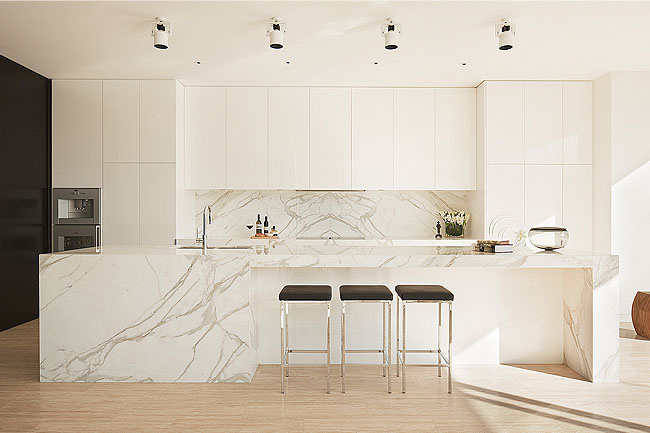 Predominantly white, I love the seamless cabinetry and use of marble. 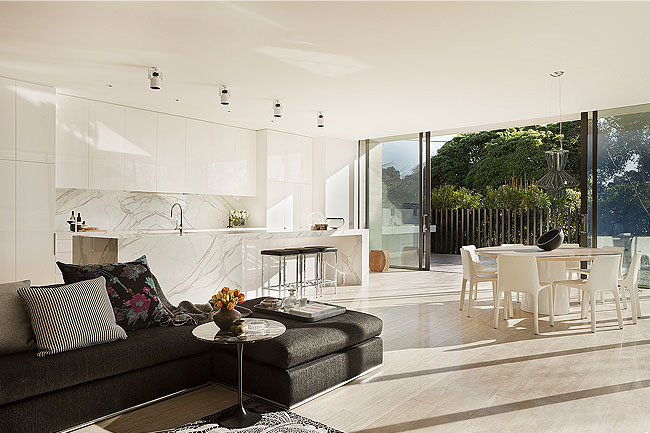 Black accents such as the stools, light details and feature wall add contrast to the natural stone and timber finishes. 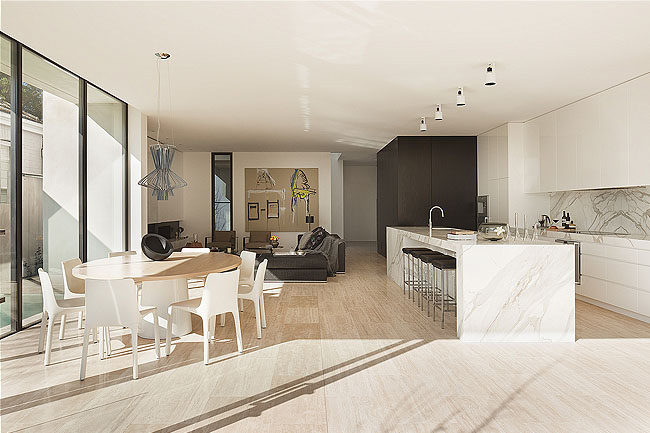 The living spaces are furnished beautifully, while still maintaining the strong minimalist aesthetic. Stunning architectural details include custom made book shelves and a fireplace with a built-in marble shelf that runs the length of the living room. 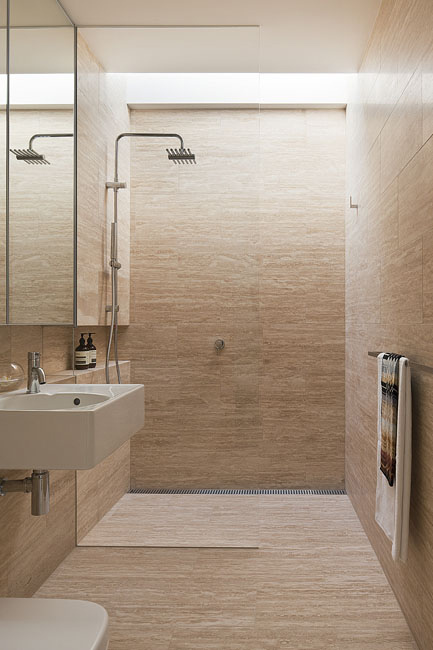 The use of natural stone is carried through to the luxurious bathroom giving the home a slick, cohesive feel. 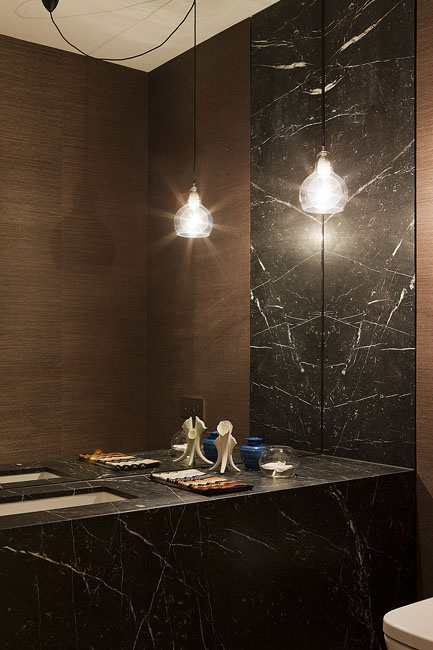 The mix of pendant lights add further sophistication. Combining lush textures, I love the inky colours and sheer white curtains in the bedroom. 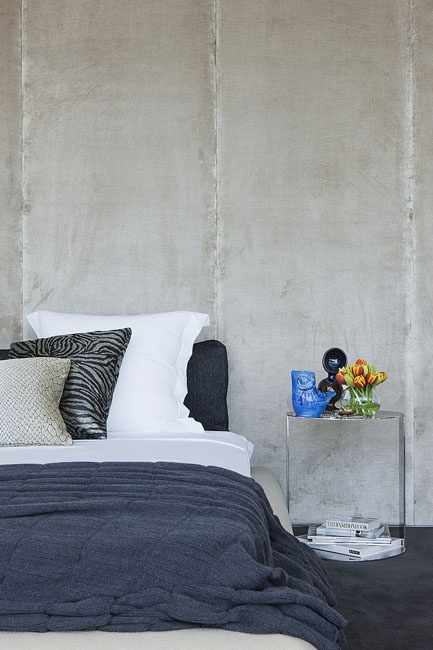 Vibrant artworks and an incredible concrete-look feature wall above the bed give the room its wow factor. Pure elegance and incredible attention to detail continues through to the outdoor living areas with lovely landscaped courtyards and a lap pool. And on that final note, I'm completely smitten! How about you? HOLY STROMBOLY!! Your not wrong mate, this IS a 'REALl' dream house. Amazing find, mucho thanks. 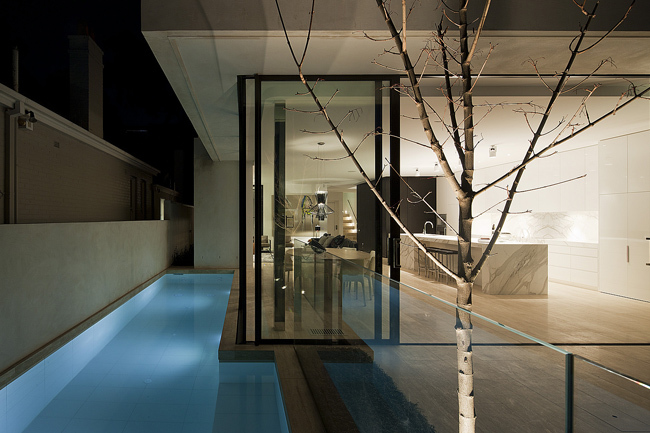 Now...if you can make up some elaborate plan to 'out' the occupants, in a civilised manner of course, so you and your whanau can move in...i will offer my services as a man-maid for this gem of a whare. Ha ha ... you're on!! My dream home and a man-maid.. it surely doesn't get much better than that! 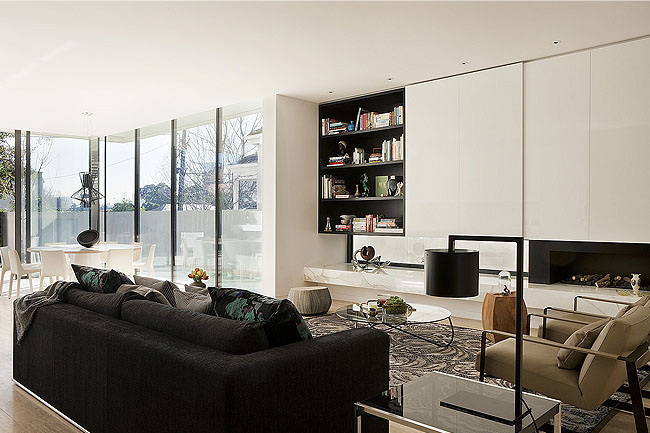 Hi this is amazing, would you please tell me where the dining table and chairs are available from?